Epic Games unveiled a Fortnite: Battle Royale limited time in-game event celebrating the game's one year anniversary starting Tuesday. 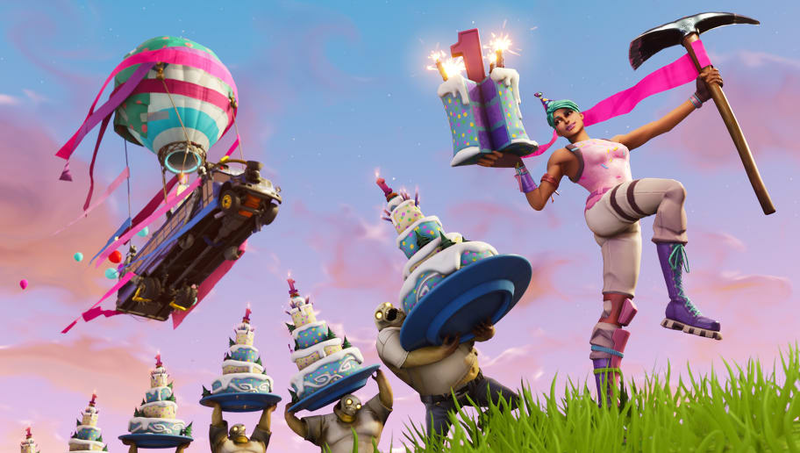 ​​The ​Fortnite birthday celebration begins Tuesday, allowing fans to participate in exclusive challenges and quests in-game for a limited time. Players who complete the challenges will be rewarded with special birthday cosmetics. Players who complete the Fortnite Birthday quest in Save the World will earn the Birthday Brigade Ramirez hero. Tickets can be used to purchase birthday llamas that contain cosmetics like heroes and weapons from every past event. Fortnite's popularity soared since its release a year ago. The game attracted the attention of celebrities ​like Drake, and Epic Games is taking the game's ​dive into esports seriously by providing a ​prize pool of $100 million for Fortnite competitions in 2018-2019.